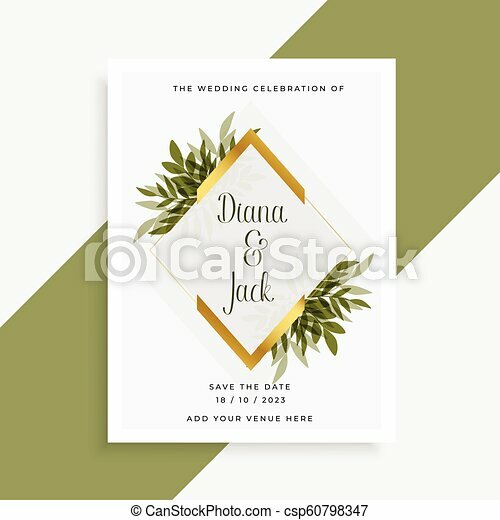 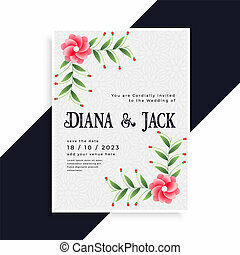 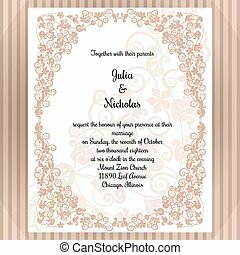 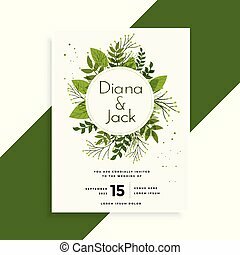 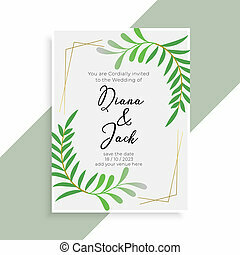 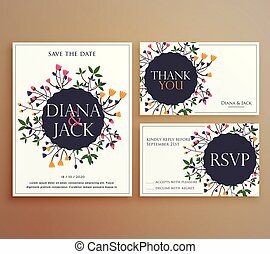 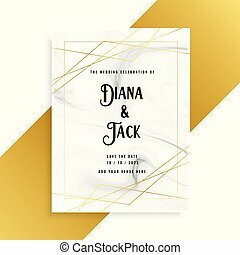 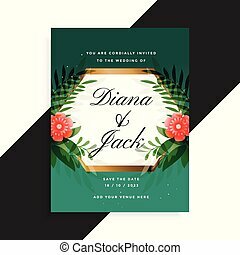 Elegant wedding card design with frame of leaves. 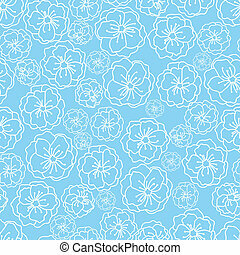 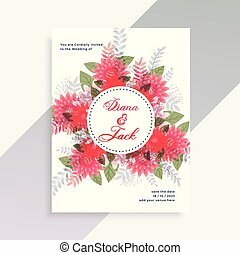 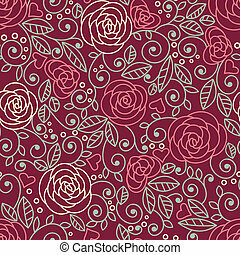 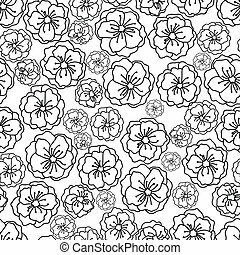 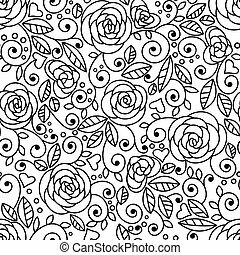 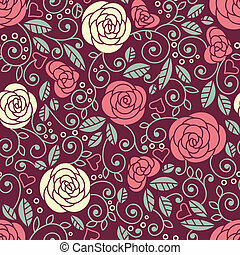 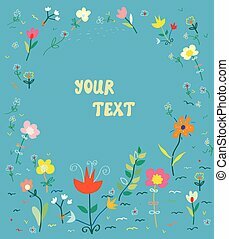 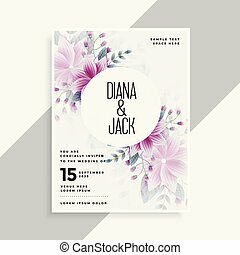 Vector floral design card. 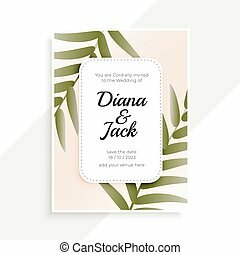 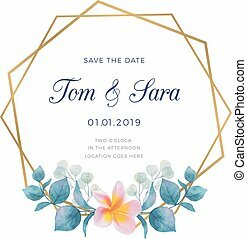 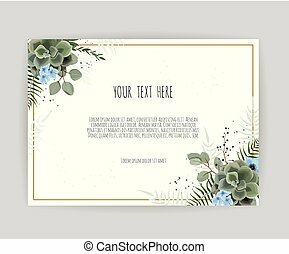 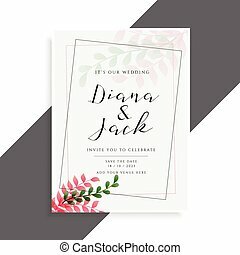 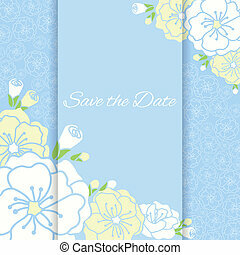 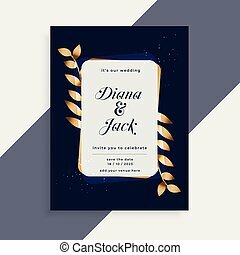 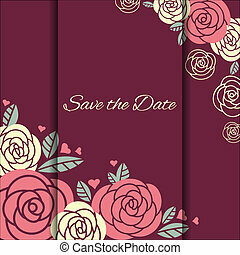 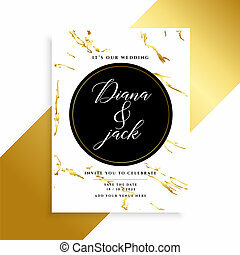 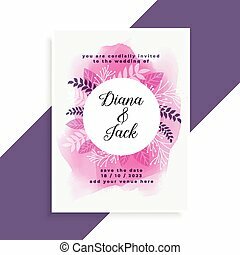 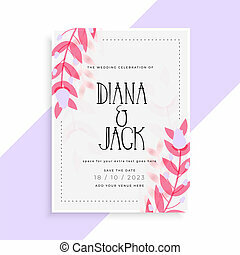 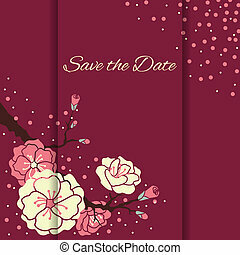 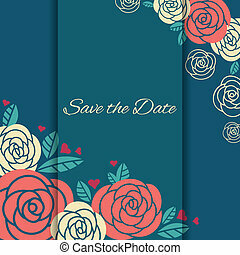 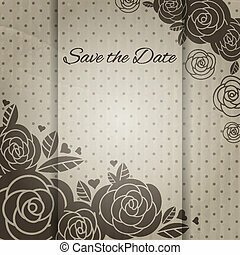 Greeting, postcard wedding invite template. 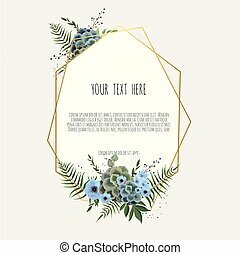 Elegant frame with green leaves herbs in watercolor style.